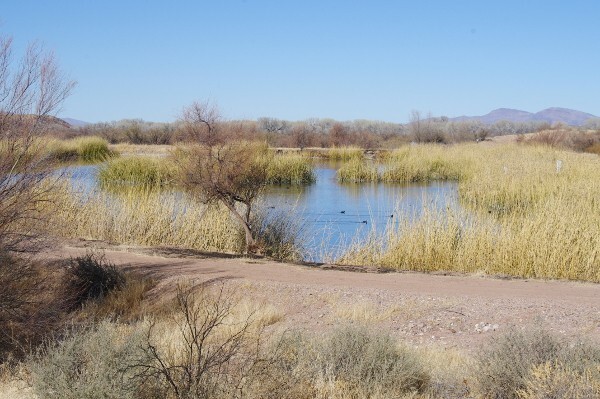 Ponds near our San Pedro River Lodging can provide some intimate bird watching without a lot of interruption of other birders. From an overlook on the road to Millers Pond you can view the activity at the pond. Nearby our San Pedro River Lodging, known as Down By The River B and B, are a couple of ponds that are accessible only for guests at our B and B. The pond is inside the gated area of DMR Ranch but is a short walk from the property. 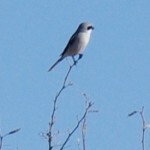 One is rather small and fed by a small spring and you can find birds in the trees around the pond. The second is about 7 or 8 acres and has reeds and cat tails to give the water fowl cover. Whenever Angie and I walk to the ponds we haven’t encountered any other people during our visit. The odds are that you may be the only visitors if you visit the ponds. From a gravel road there is an overview so you can see where the activity is located at the pond. In the month of December we had visited the ponds twice. 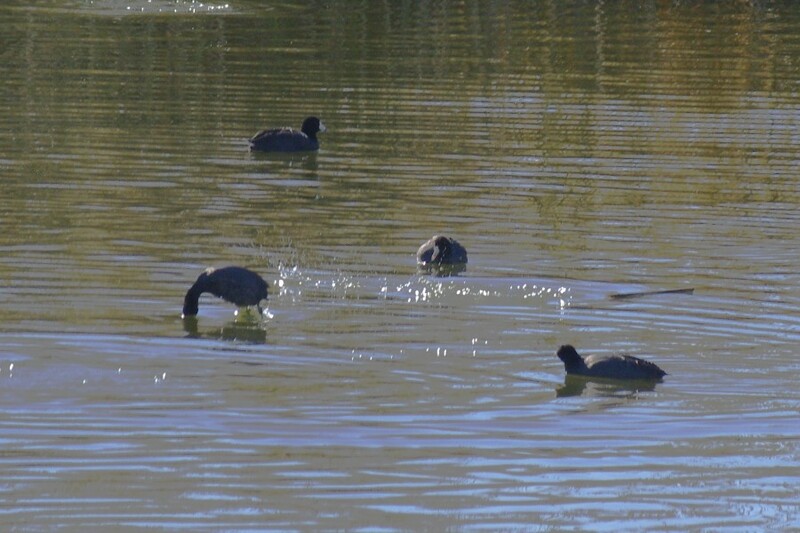 Both times we found mainly the American Coot. During second visit, we stopped to view the action at the pond. 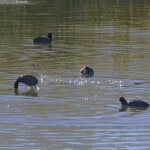 We found that there were other birds in amongst the American Coots. 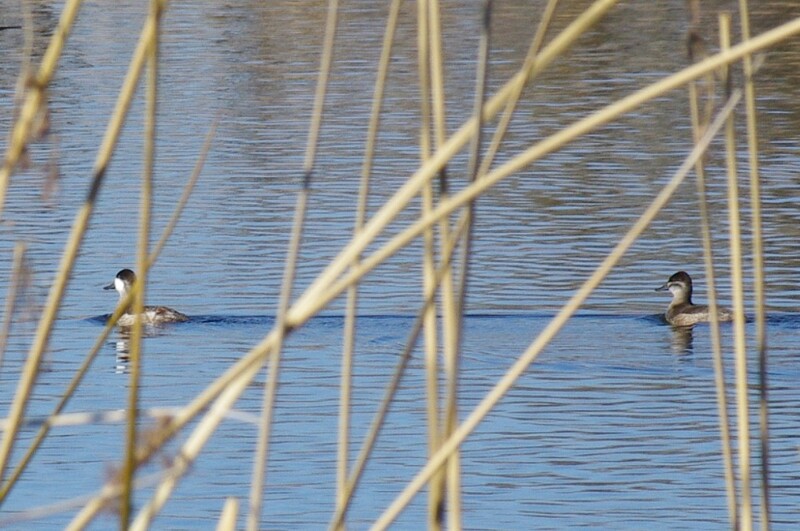 As we viewed the birds that were at the pond, we found a pair of Ruddy Ducks, a loggerhead shrike, dove and a large group of Northern Shovelers along with the coots. There were some birds that we thought might be Cinnamon Teal but they went into the reeds before we could make a good identification. 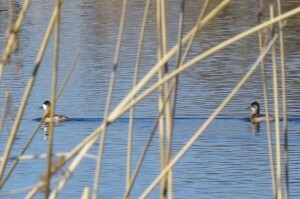 A pair of Ruddy Ducks were at the pond and we were able to watch them for a while. On our first visit to the ponds near our San Pedro River lodging along with birds we found insects along the shore and in the reeds. 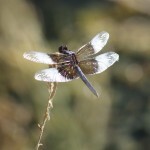 In particular we found Damsel Flies and Dragon Flies. 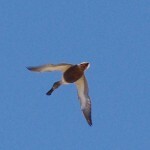 There were many birds in the reeds looking for insects and other menu items. If we had taken the time we probably could have identified the types of birds but we had a short time frame for the walk as guests were coming to the b and b. When you visit our San Pedro River lodging, ask us about the pond and we can direct you to its location. 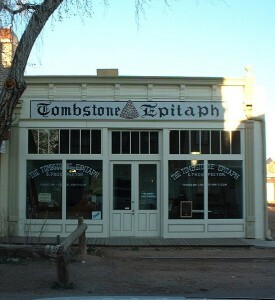 It is always nice to be able to see something that is more off the beaten track that other people can’t get to or don’t know about. There are not the variety of birds that you will find at White Water Draw or Twin Lakes but it can be a special place in an intimate setting that can be your alone. This entry was posted 5 years ago on Wednesday, January 8th, 2014. and is filed under Events and Things To Do, Nature.